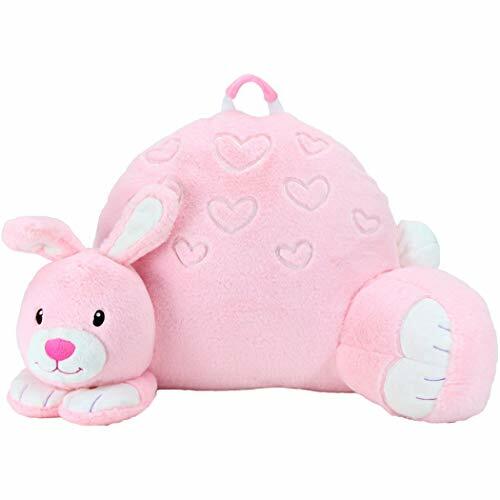 From books to jewelry to stuffed animals, we've pulled the rabbit out of the proverbial gift hat. Yes, of course you can go the stuffed animal route when you’re getting Easter gifts for the kids. And of course you can load up on chocolate but carrots would be preferable for your little sugar fiend. Instead, get them a colorful gift that screams spring. They’re full of Easter flavor. They’re affordable. And they’ll appeal to even the most discerning children. What an absolutely ingenious way to keep the kids busy on Easter. This set lets them sew their own pouches, decorate them, and cram them full of Easter treats. 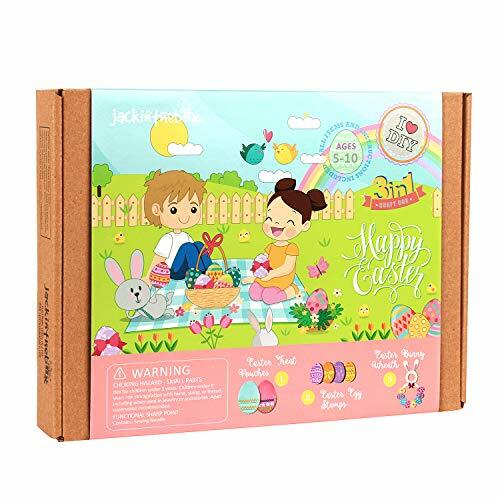 The activity pouch also include Easter egg stamps to use on cards and gifts, and an Easter bunny wreath, which kids can make themselves. Why did the chicken cross the road? Why, to listen to great music courtesy of this portable speaker. 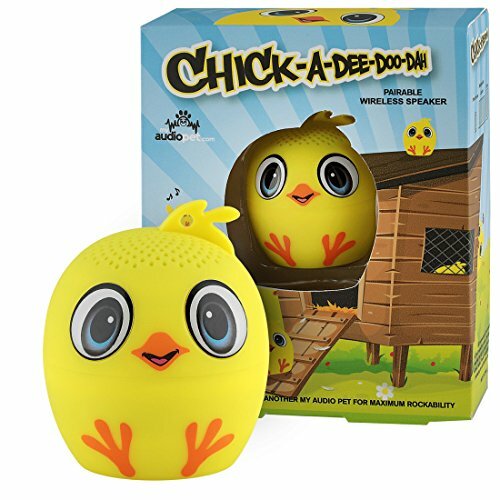 These Easter gifts for kids feature rechargeable batteries, making them fully portable. And guess what? You can pair them with other critters for a serious sonic boom. And yes, the speakers are Bluetooth-enabled. Some Easter stories can be hokey. 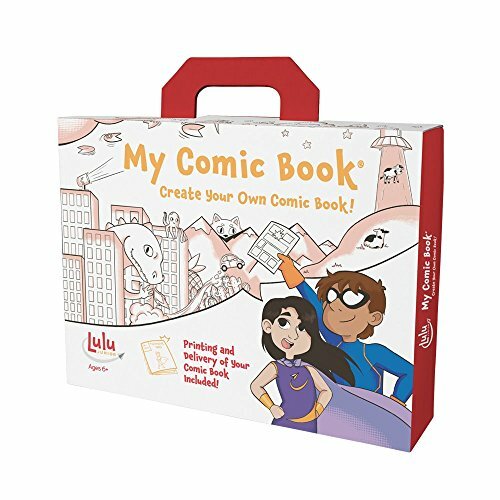 So let your kid create his or her own graphic novel about bunnies and chickens oh my, with this genius all-in-one kit. You’ll wind up with a fully-illustrated 18-page comic book, which even includes its own page that’s all about the author. 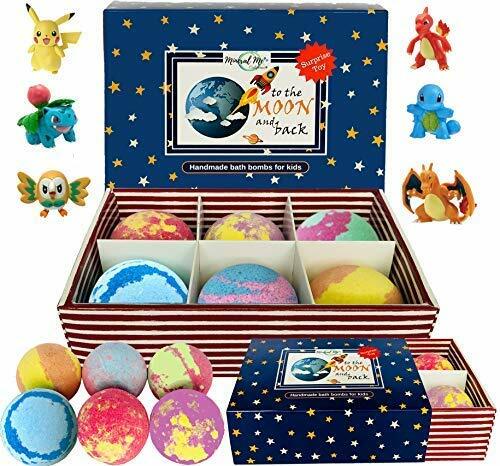 Kids love them some bath bombs. And if your child hates to bathe, here's your solution. They’re shaped like eggs. They have toys surprises inside. They make bathing fun. And they’re made with organic shea butter, sodium bicarbonate (baking soda), citric acid, and essential oils. Get your Lego fan the ultimate Easter kit. This one features a henhouse with an opening door and a rooster, plus flower garden with two lamps and mailbox. And did we mention that there’s a vegetable garden with a secret compartment, plus a wheelbarrow, magnifying glass, three eggs and a basket. Meaning, hours of (quiet) fun. April showers bring May flowers. 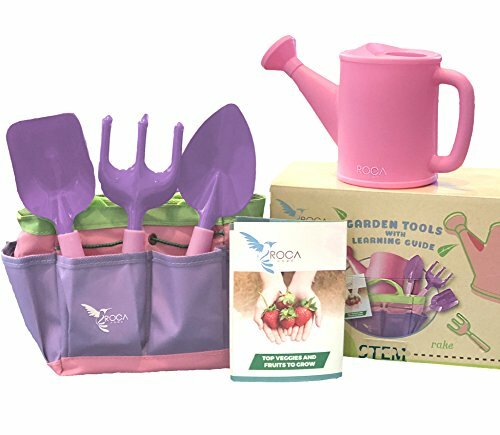 And your littles can tend to them with this fantastic gardening set. Sure, it’s bright and colorful. But this Easter gift kit helps kids learn about flora and fauna, thanks to its STEM early learning guide. And they can pick the fruits of their labors. You can't get more Easter-themed than these six Hatchimals CollEGGtibles and eight nests. Ah, the craze continues. 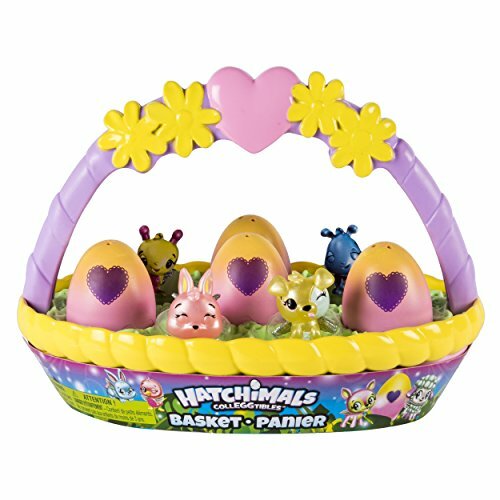 The basket is filled with six Hatchimals, with four in-egg and two out of the egg. You can use the basket to carry them around, and of course, fill it with Easter Bunny spoils. 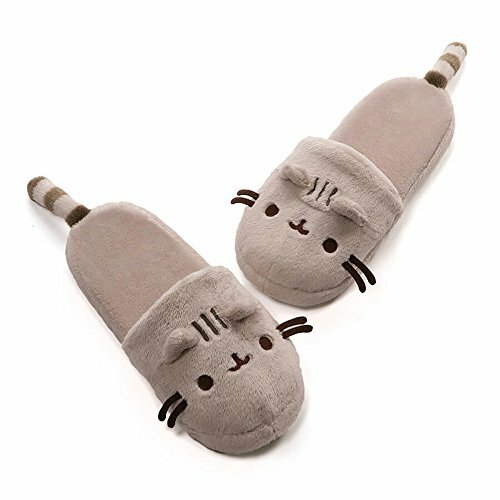 GUND Pusheen Cat Plush Stuffed Animal Slippers, Gray, 12"
These are soft and huggable and feature embroidered details like Pusheen's striped tail, smile, and whiskers. OK, so these aren’t technically bunny slippers. But come on! They’re beyond cute and will keep his or her toes warm on those in-between spring days. 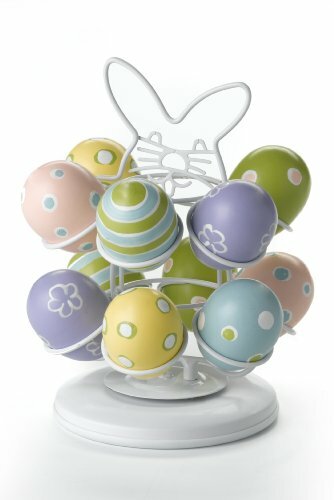 Display your decorated eggs with pride in this tree, which holds 12 of your creations. Clearly, this is meant for older, craftier kids who will spend copious amounts of time detailing those eggs. And want to showcase them with pride. 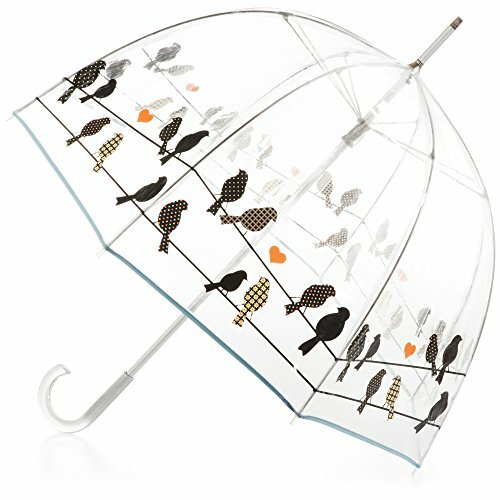 This clear umbrella, bedecked with birds, screams spring and wants us to go singing in the rain (sorry, couldn't help it). 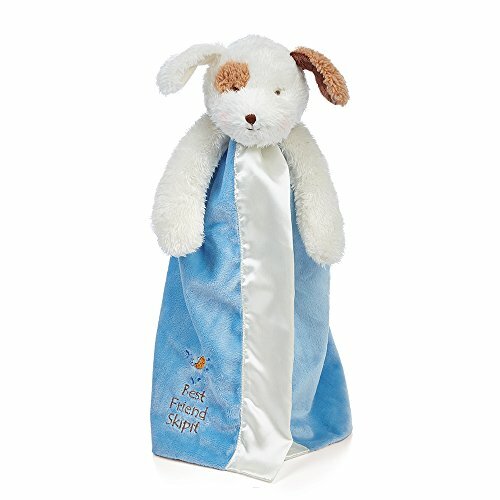 We bet your kids will embrace spring showers when they open up this adorable gift. With 47 inch dome coverage, it’s windproof and will protect them from rain and breezes. 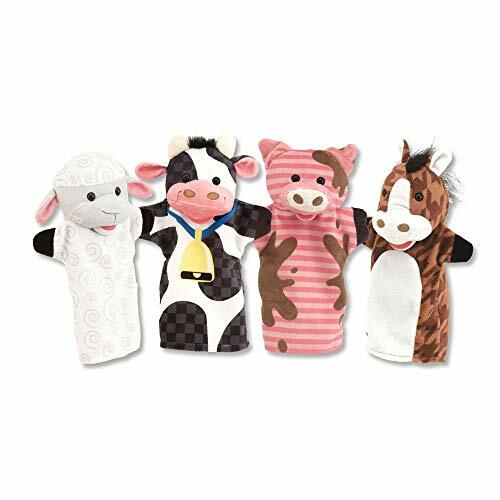 Your little ones will have a blast with this set four soft hand puppets: a cow, a horse, a sheep, and a pig. Oink! They’re easily washable, and they don’t make noise! They fit both children and adults, and promote motor skills, hand-eye coordination, communication skills, and creativity. 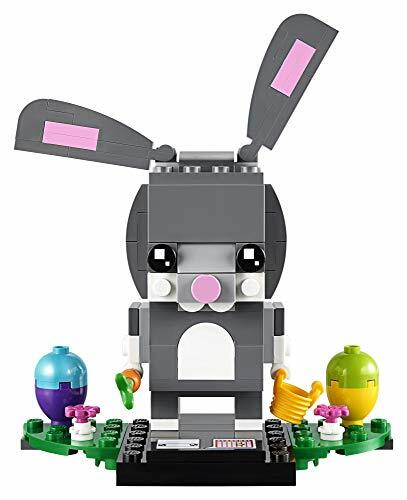 But of course LEGO has Easter covered, with this BrickHeadz bunny featuring decorated eyes, movable ears and a detachable carrot and bucket. 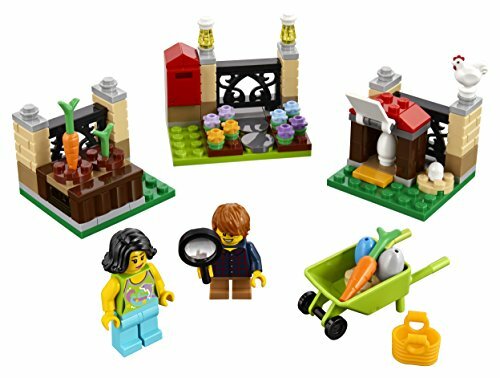 And of course, this Easter gift set also includes two buildable Easter eggs and flowers, plus a collector’s baseplate. Happy building! Got a green thumb? 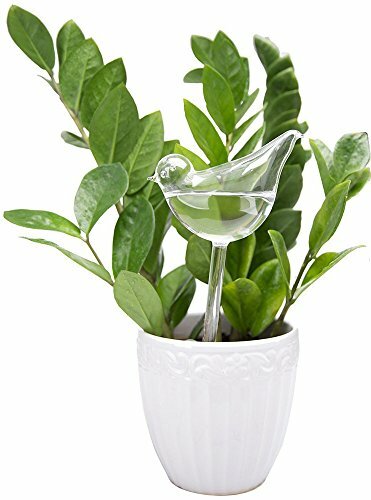 Then you'll love this gorgeous self-watering plant featuring a pretty bird. If you can barely keep a synthetic plant alive, or just want to teach your kids about taking care of greenery, invest in their oh-so pretty plant, which has a self-watering system eliminates the need to worry about leaving your plants unattended. Fill the globe (in this case, a bird) with water and insert it into the soil. Voila! This stunning sterling silver butterfly necklace is all about springtime, and we love the long 16 inch chain. Who can forget your first piece of keepsake jewelry? It’s one reason we love Alex Woo. Her pieces are so finely-crafted, yet durable and ideal for kids, who don’t exactly treat their stuff with major TLC. 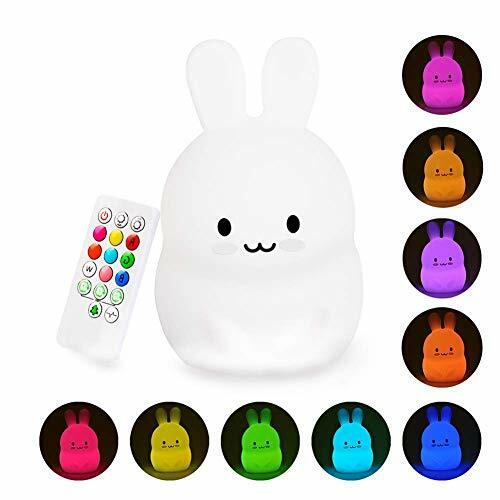 We defy you to resist this nightlight, which is made from BPA-free soft silicone material, is handheld in size and changes into pretty much whatever color you want. This brilliantly colorful nightlight has a wireless remote control, which can turn it on or off, and change the hue on display. And you can pre-set the shutoff time. Bonus: It’s not breakable! You'll hop along through this engaging and fun story that's fully interactive in the best sense. 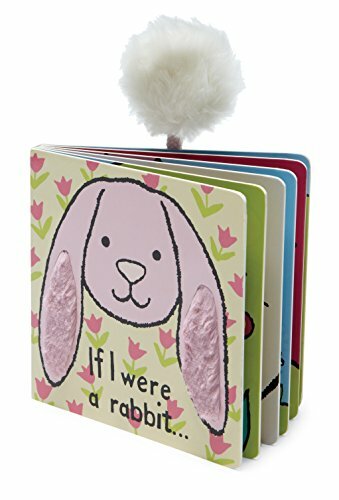 You can wipe this book clean, which is a good thing, because kids will be all over this Easter gift. That’s thanks to its sweet storyline and textured pages. Kids fall in love with this lovey, which is sugar and spice and everything snugly and nice. The eyes and mouth are stitched on, so there’s no chance of your intrepid baby or toddler biting off or swallowing an errant button. This is a surefire way to make reading fun. Your kid gets a plush support so he or she can snuggle up with a good read, and drift away into dreamland. We love that this cushion, which comes in a variety of critter choices, features a convenient handle and storage pocket. Plus it’s crazy-soft.